Thank you readers and Monarch Butterfly friends for forwarding the following article from the NY Times! CEDAR FALLS, Iowa — Bounding out of a silver Ford pickup into the single-digit wind-flogged flatness that is Iowa in December, Laura Jackson strode to a thicket of desiccated sticks and plucked a paisley-shaped prize. 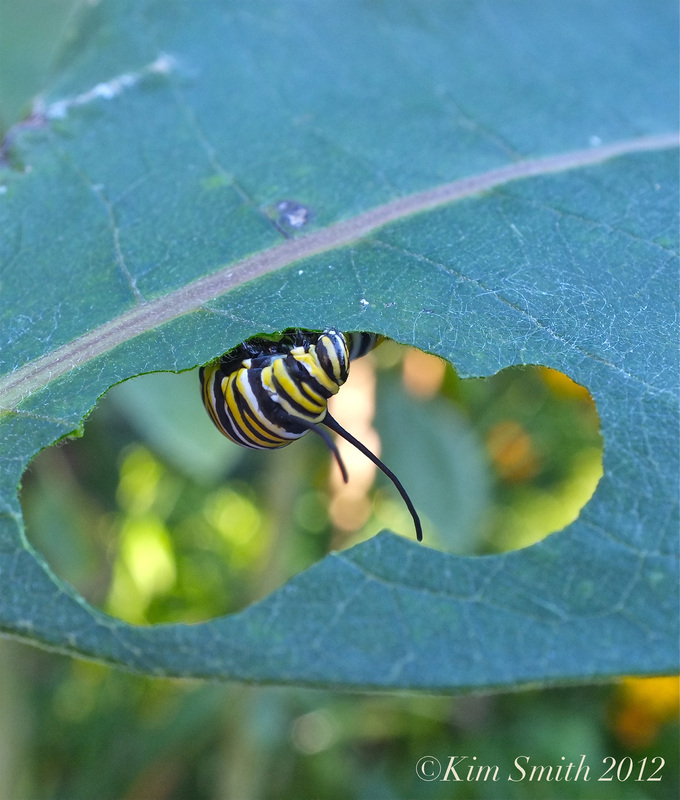 Dr. Jackson, a University of Northern Iowa biologist and director of its Tallgrass Prairie Center, is part of a growing effort to rescue the monarch. Her prairie center not only grows milkweed seeds for the state’s natural resources department, which spreads them in parks and other government lands, but has helped seed thousands of acres statewide with milkweed and other native plants in a broader effort to revive the flora and fauna that once blanketed more than four-fifths of the state. 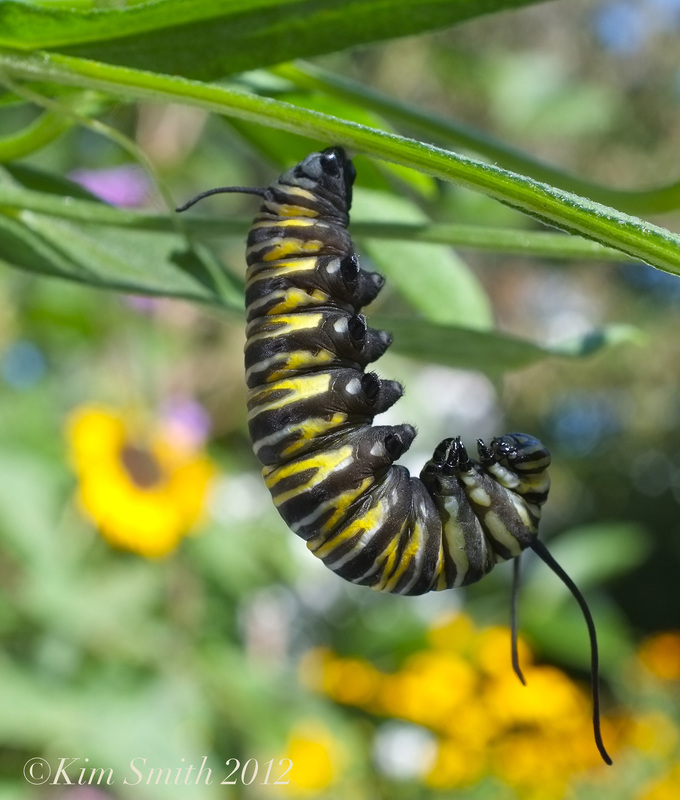 Monarch caterpillar hanging from a Marsh Milkweed (Asclepias incarnata) leaf rib, in the characteristic J-shape, readying to pupate. This entry was posted in Butterfly Garden, Cape Ann, Gloucester, Home and Garden, Lepidoptera ~ Butterflies, Skippers, and Moths, Monarch Butterfly (Danaus plexippus), Monarch Butterfly Migration, Native Plants, Photography, Wildflowers and tagged Asclepias incarnata, Asclepias syriaca, common milkweed, Danaus plexippus, marsh milkweed, Michael Wines, Milkweed, Monarch butterfly, New York Times on December 30, 2013 by Kim Smith. Good article, and one of which everyone should take heed.